Caryn is the owner of Lenawee's Heart & Soul, LLC and the center director for our Music Together® offerings. She is also a registered Music Together® teacher having successfully completed the Music Together® Teaching Workshop developed by the Center for Music and Young Children, Princeton, New Jersey. Caryn has a B.F.A. from Adrian College with a Minor in Music (Voice). As a child, she played piano, flute and oboe as well as enjoying music as a member of numerous choirs. As a former band director, Caryn's father passed along a life-long love of music and an understanding of the many benefits it provides for souls of all ages. Caryn is especially passionate about music as it relates to the development of children. As the parent of an 11 year old boy and a 1 year old girl, she believes 100% in Music Together and the value of making it a part of your child's early years. Caryn strives to create a fun, informal, social setting that spurs engagement and supports each child's musical development. Lenawee’s Heart & Soul started with a strong belief of the fundamental importance of music and art in the lives of young children. I believe the arts are the heart and soul of your child's development in all areas. I personally believe that the power of music and art is derived from how they simultaneously affect us physically, mentally, emotionally and spiritually. I am excited to bring music and art opportunities to children in our community and I appreciate the support so many of you have given me as I continue to make Lenawee's Heart & Soul's presence known. Please continue to help me spread the word and educate parents and other caregivers in our community of the important role the arts play in the lives of our young children. 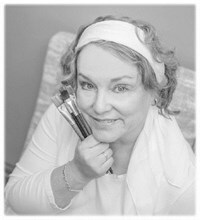 Valorie is Lenawee's Heart & Soul's art and Creative Arts Academy director and our head Academy teacher. She is an early childhood Montessori educator and children’s book author/illustrator. She received her education and training at Chaminade University, Honolulu, HI, and Siena Heights University, Adrian, MI. Early childhood education and creativity are her passions. 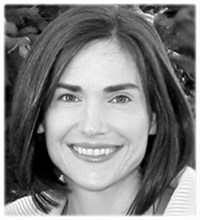 Valorie is a member of the American Montessori Society, Michigan Montessori Society, and is listed in the Who’s Who Among America’s Teachers. I can't help but be excited about creating art experiences for children. I feel strongly that an important element regarding an art experience is to let the child be free to develop artistically without interfering so their inner drive for expression and creativity is not inhibited! It can be very liberating for a child to experience a variety of art forms, styles and techniques. We, as adults, must accept art as a diverse personal expression unique to each child’s capabilities. Above all, it must be interesting, fun, and non-threatening in an environment that has been prepared to encourage independent exploration and freedom of expression. Let's create! Copyright © 2010 Lenawee's Heart & Soul, LLC. All rights reserved.